The Luxilon 4G is the number 1 string on Pro Tour used by such players as Serena Williams or Paul-Henri Mathieu. It has been treated at a molecular level to provide more feel and longer playability without compromising on power, spin and comfort. This gold co-polyester string is best suited to rackets with an open string pattern and designed to ensure maximum tension maintenance for long lasting high level play. It incorporates a monofilament core and has a gauge of 16L (1.25mm). The string is supplied in a 200m (660ft) reel. 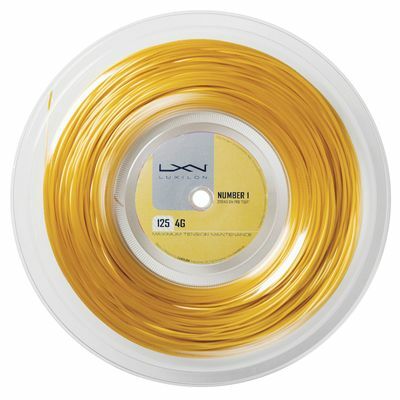 for submitting product review about Luxilon 4G 125 Tennis String - 200m Reel.